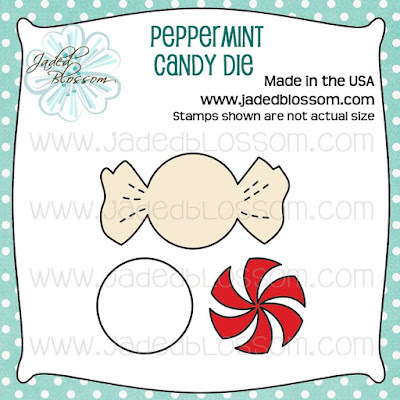 Today is Day 5 of Jaded Blossom's October Stamp Release! We have one stamp set reveal and one die freebie! 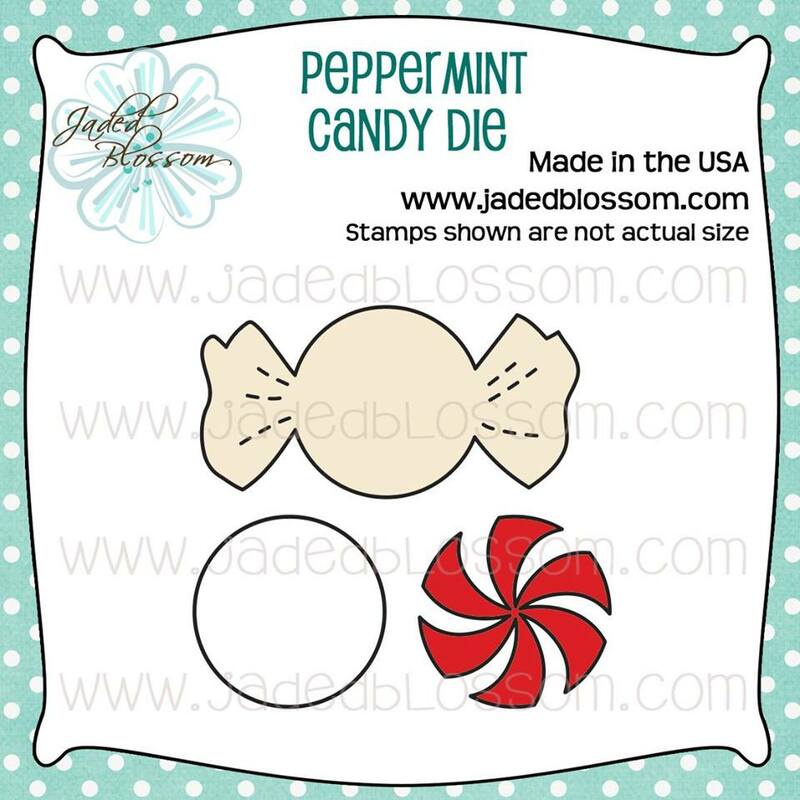 Peppermint Candy Die- Freebie! This die is free with all orders $40 or more (before tax/shipping) starting today through Sunday! 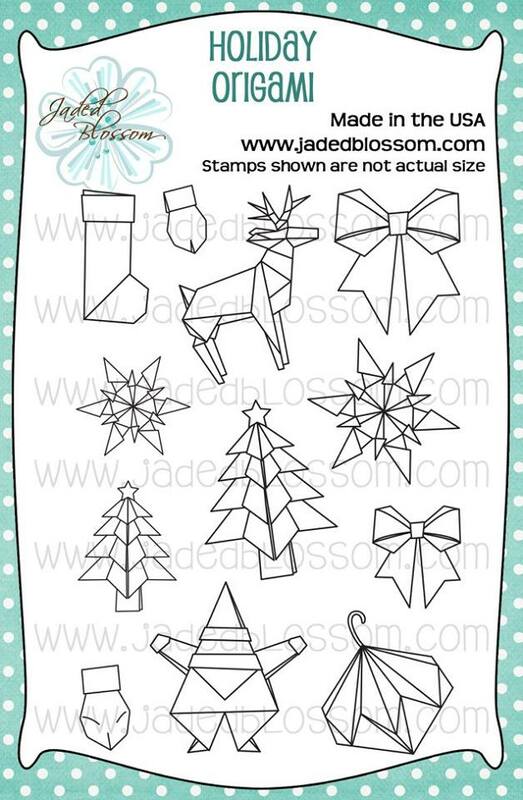 I cut out my bows and then made presents to put them on. I love that there are two different sizes. Here is a close up of the presents. 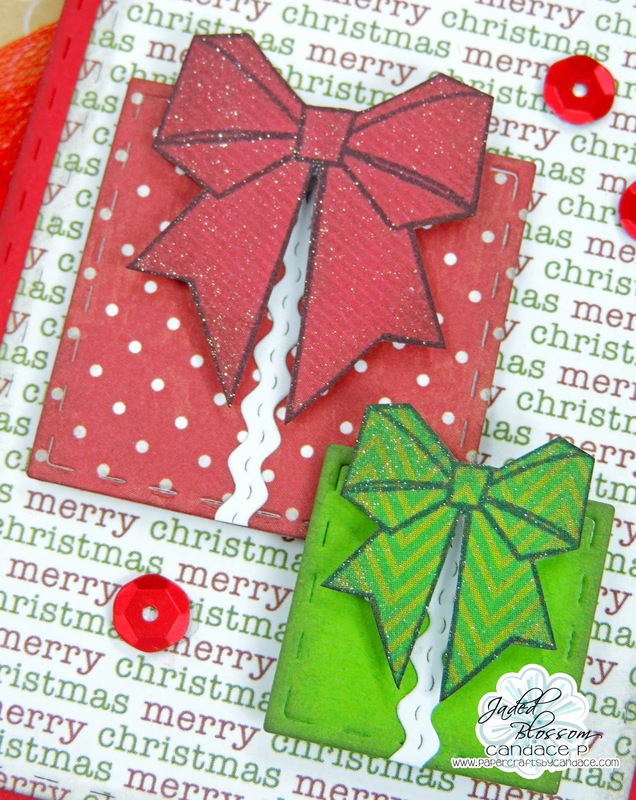 I used Wink of Stella for the glitter on the bows. Thanks so much for checking out my project today! 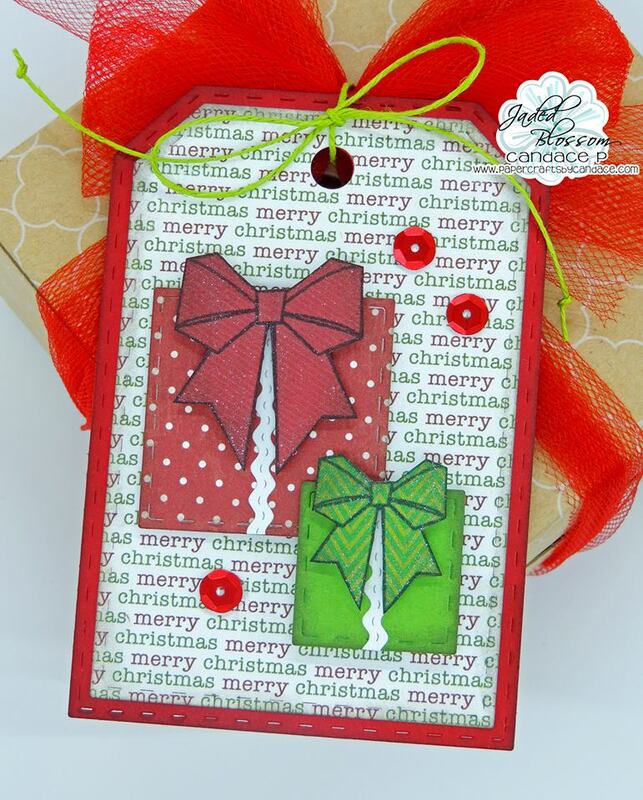 Make sure to come back at 4 pm PST for the blog hop!